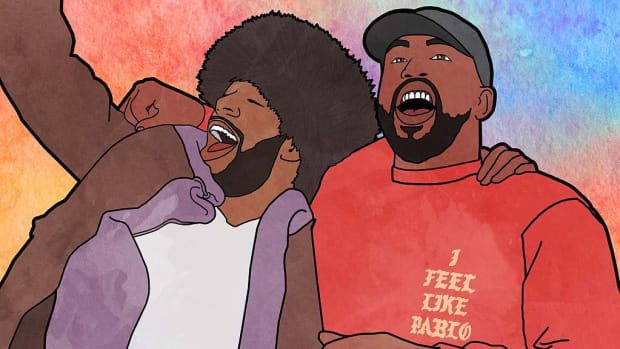 Taken together, ‘KIDS SEE GHOSTS’ and ‘DAYTONA’ become a meditation on existing outside of carnal aggression. 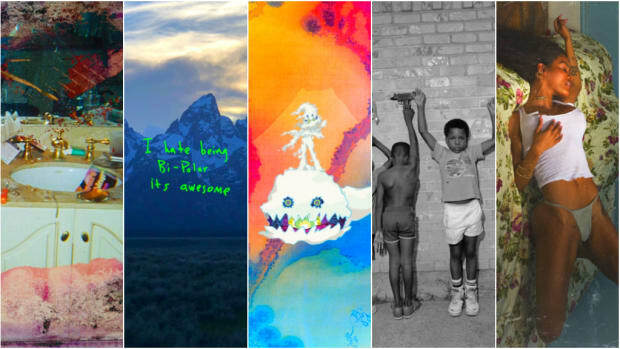 Kanye West’s seven-track album shtick was a true gift to the insatiable music fan. Each of the Wyoming sessions albums feels like its own fountain of youth or some other brand of mythological wonder. Each G.O.O.D. Music offering stands as a vacuum to tumble into and explore. At seven songs apiece—eight if we recount the trials of Teyana Taylor—these albums empty into and feed themselves, making for a gluttonous listening experience despite the short runtimes. Fans have the opportunity to gorge on every minor detail in a near-hedonistic way. Every re-fire presents the image of listeners scraping the insides of these albums for more themes, more lessons, more symbols, and the like. But when we leave vacuums and singularity behind and come to think of the sessions as one bottomless entity, it becomes overwhelmingly clear there is a lot of meat left on these albums’ bones. Namely, when we put Pusha-T’s DAYTONA in direct conversation with Kid Cudi and Kanye West’s collaborative KIDS SEE GHOSTS, playing them back to back as if they were one 14-track album, the cogs begin turning in an unexpected direction. On the surface, the two albums deal with anger, and in a unified state these projects teach us how to process anger by acknowledging, accepting, moving through, and moving beyond rage. Yet, it is the way the motif of rage moves across these albums that points to West’s uncanny ability to bask in the collective, creative unconscious. That is, these two albums personify the four Greek humors—blood, yellow bile, black bile, phlegm—which were once used to appraise the mood and behavior of all people, and employ them to build a cohesive narrative across projects. Picking apart DAYTONA and KIDS SEE GHOSTS, we not only discover the overt presence of the humors, but also that Pusha-T, Kanye West, and Kid Cudi are three actors in a hip-hop music tragedy: we interface with malice, looming expiration, succumbing to our tragic flaws, death, and of course, rebirth. All of this begins with Pusha-T and yellow bile, an excess of which leads to blind anger. Pusha’s album is littered with yellow-tinged imagery informing his flexing, from mentions of “Golden State,” to cutting cocaine, to gold diggers, to bubbling champagne. In tandem, DAYTONA begins and ends with anger—even the weeks leading up to DAYTONA are marked by white walls of fury. Pusha’s rage is calculated, dense, and immutable. It takes the form of jagged boasts and as a result, it weaves throughout the album without overburdening us. He is incensed and we believe him. In fact, it feels good to believe and rage with Pusha-T. But rage, as we know, cannot last forever. By “Hard Piano,” then, the album’s second main humor comes into play: black bile. Too much black bile, the Greek’s believed, can lead to a melancholy state and eventual depression. That’s the sum of what we get in passing on “Hard Piano,” when Pusha ruefully admits to his own hypocrisy (“I&apos;m the pot callin&apos; the kettle black”) while critiquing materialism. On an album teeming with braggadocio and the satisfaction born out of spite, Pusha’s taking a moment to appraise himself is an obvious stumbling block. We’re meant to muse on the moment and to consider how it is that anger pushes us to this somber and unfulfilled place. Pusha-T’s struggle with hypocrisy brings us to the album cover, which, for all its external controversy, is an apt showcase of how drug dealers systematically destroy lives in an attempt to better their own. Dealers’ lives, too, are plagued by a systematic destruction. Listeners are faced with the deadening cycle of drug culture. As Pusha must come to terms with his personal flaws and the fallout of the drug trade, we must simultaneously accept that the music we love is born of horrific real-world struggle. Where that level of cognitive dissonance naturally breeds frustration, consider this the first communal moment of heavy processing and acceptance. Suddenly, a harrowing darkness overtakes the album. From the imagery to 070 Shake’s ghostly vocals, “Santeria” is the shape of thematic shifts to come, and as Pusha-T spits about death, he too is dealing in heavy foreshadowing. “Santeria” weaves DAYTONA’s two humors into one jagged and haunting track, and the title’s allusion to religion and communing with mortal spirits acts as the first overt link to KIDS SEE GHOSTS. With that, DAYTONA concludes on a furious note. “Infrared” is a focused and zero-punches-pulled affair for Pusha-T, who has properly made a sport of eviscerating Drake in passing. By “Infrared,” Pusha is so overcome with anger, with an excess of yellow bile, that his rage carries over to KIDS SEE GHOSTS, where a scathing verse from him opens the album. 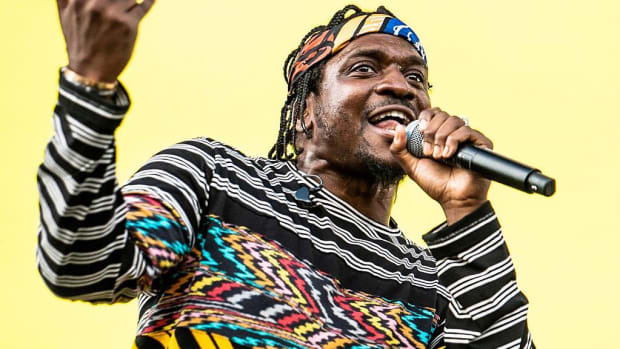 On “Feel the Love,” Pusha is angry, but he also represents a man infected with imbalance, so much so that his anger transfers over to Kanye West and West’s grating series of ab-libs and shrew belts. By contrast, Kid Cudi’s “I can still feel the love” guttural hums balloon in the background, creating a storm of tension and establishing his role in this epic as the balanced guide. Pusha-T has fallen victim to his rage, Kanye West appears quick to follow, and Kid Cudi will act as the equalizer. 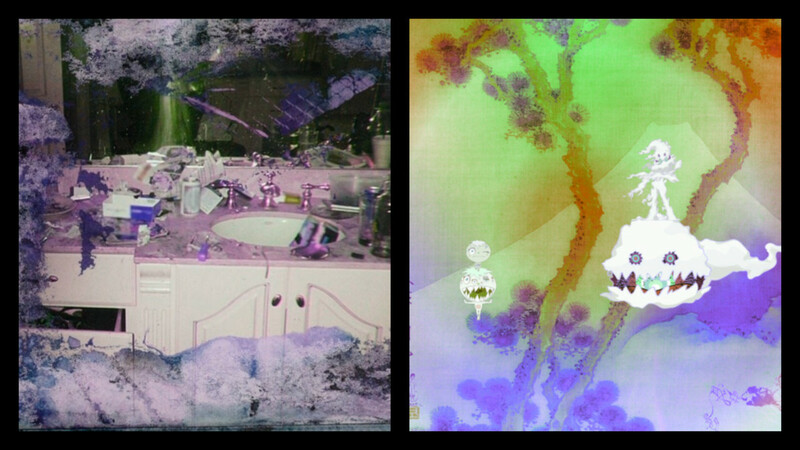 The narrative from DAYTONA to KIDS SEE GHOSTS consequently becomes one of internal war. Isolated, KIDS SEE GHOSTS is a record about the fight to feel better, but with the addition of Pusha-T, our enemy goes from nameless to ubiquitous. Pusha’s yellow bile, then, evidences once more on “Fire,” which so happens to be the natural element linked to DAYTONA’s main and vengeful humor. “Fire” is thusly tinged with a similar tone and form as “Infrared” with one key difference: their anger evaporates as quickly as it comes. 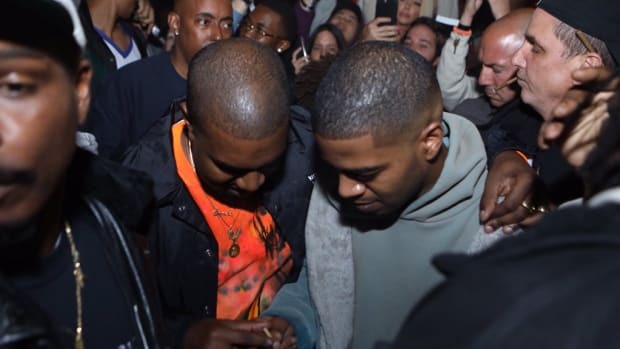 Kanye begins the track by addressing hatred, and under Kid Cudi’s healed wing, “Fire” concludes by transforming failure and rage into fuel to move forward. Though it is the shortest track on KIDS SEE GHOSTS, “Fire” remains the most potent example of the narrative threads drawn between both albums. 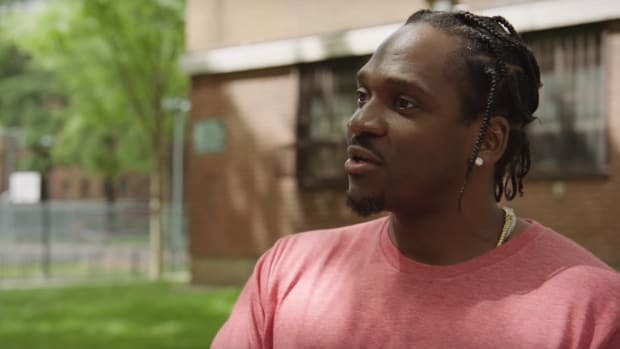 Pusha’s anger is infectious, but it can be overcome. Such is the lesson of the unified album: anger need not be finalistic. With that, we’re introduced to the third Greek humor: phlegm. An excess of phlegm can lead to a state of apathy, which is where Kanye West finds himself on “Freeee.” Singing “I don&apos;t feel pain anymore / Guess what, baby? I feel free (scoop!) / Nothin&apos; hurts me anymore / Guess what, baby? 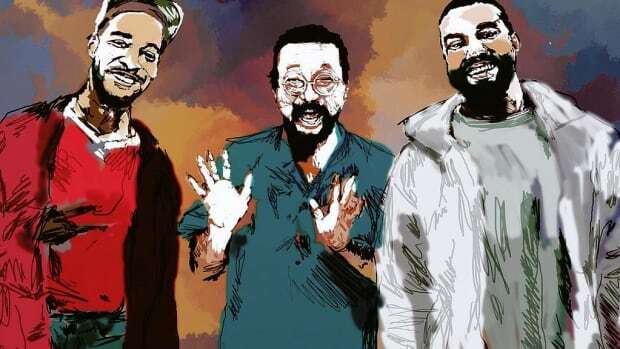 I feel free” and rejoicing in the absence of feeling, Kanye becomes a prime example of the importance of letting go in order to welcome positivity. “Freeee” is where the prophecies of death and spirituality first introduced on “Santeria” come to fruition. Where West was once sick with the same yellow bile as Pusha-T, his transition to apathy has all but killed Pusha-T and his subsequent rage. Free of yellow bile, KIDS SEE GHOSTS finally introduces the fourth humor: blood, which represents vitality and growth. 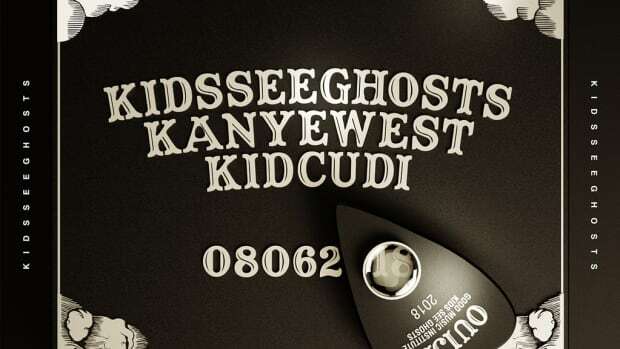 Obviously, the relationship between blood—the corresponding element of which is air, and taken with some liberty, we can relate this back to ghosts—and KIDS SEE GHOSTS manifests most clearly on “Reborn.” The transition from phlegm and apathy to blood and moving forward essentially completes the narrative built across DAYTONA and KSG. That is, these two albums present us with a choice. We can either revel and rot in our rage, or we can feel through it and exit the emotion as new people. Though DAYTONA was overcome with bile and depression, without cycling through those lows, we could have never arrived at the high of “Reborn,” and the victory lap that is “Cudi Montage.” While Pusha-T represents the plague of imbalance, his humors necessitate healing. There can be no balance otherwise. Thus, the grand lesson of DAYTONA and KIDS SEE GHOSTS is that we must move through our anger in order to process it. This includes enjoying how nasty we can become, as well as moments where we must come to terms with our hypocrisy. This includes moments of general apathy and an attempt to shed our inflamed skins. 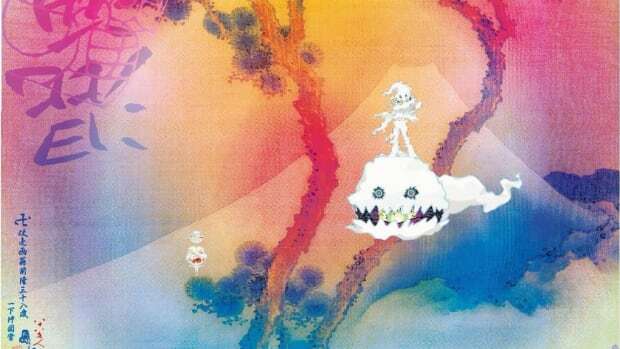 KIDS SEE GHOSTS is about rebirth and freedom, and paired with DAYTONA, the albums become a meditation on existing outside of carnal aggression and the importance of ego death. Rage is born to die, and we are all better for it. Sometimes you fall in love with an album, and other times you free fall into an album's universe. "There are some songs that we didn't use that I’m hopeful we can put out later." All 36 songs from the G.O.O.D. camp's five-album run, ranked. "We were like, ‘Let’s go work on an album, man.'" 'KIDS SEE GHOSTS' sounds like music moving forward. What should fans expect from Kanye and Cudi's collaborative offering? We asked a few friends. "He just said, ‘Gimme 25 songs that you just love…'"